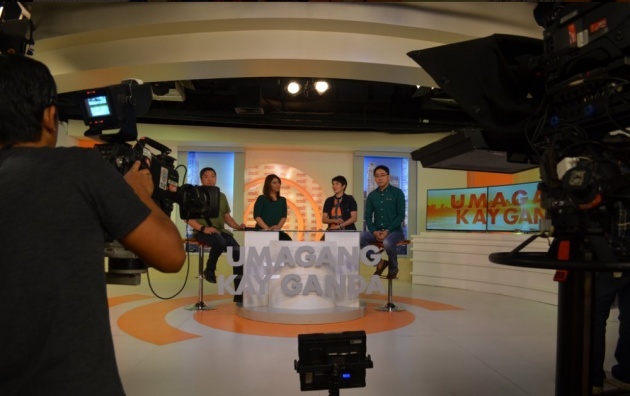 Best Morning Show-Hall of fame "Umagang Kay Ganda"
For an early riser like me watching my favorite morning show has been a part of my everyday morning, catching up with the latest news and trends. With technology and the internet in this day and age, the latest and top news is just a click away. But watching for me is still different from just reading or surfing the net. In watching you get to see real interaction, seeing your favorite news anchors or TV personalities delivering the news. Here in the Philippines almost every TV and radio stations, whether it is regional stations they have their own morning shows to offer to the viewers. For me the more shows to choose from, the better it will be for the viewers, because each show will be bringing out the best program for the viewers to watch. 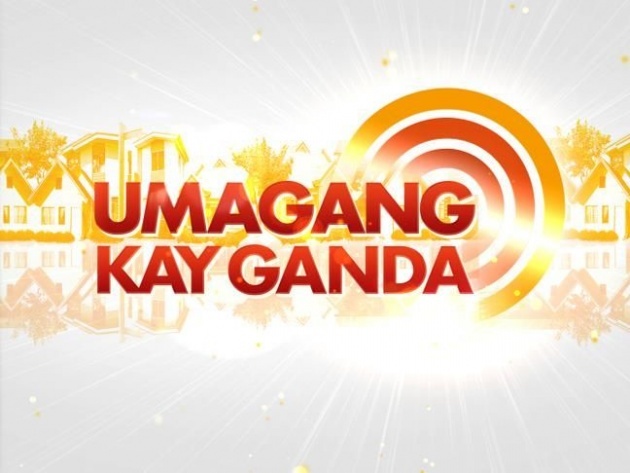 Umagang Kay Ganda also known as UKG “A Beautiful Morning” is an award winning morning news and talk show airing on ABS-CBN channel 2 here in the Philippines. UKG premiered on July 25, 2007. Their studio is located at UKG Loop Studio, ELJ Building, Quezon City Philippines. UKG airs from Monday to Friday at 5:00 until 7:30 am. 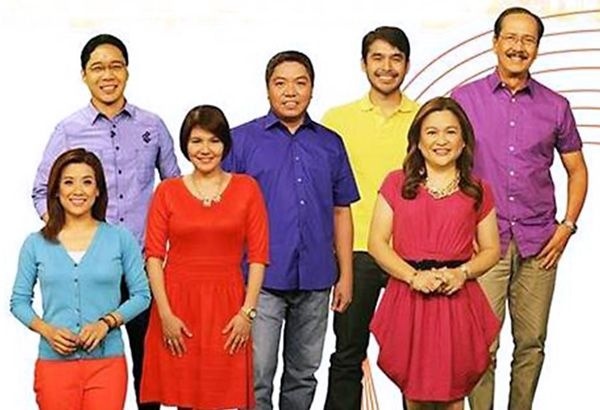 They are airing for eight long years now, every weekday morning delivering the latest news around the nation, giving public service, weather and traffic updates, showbiz news, foreign news, advice, and other segments that the show became a morning household name and thus earning them numerous awards. 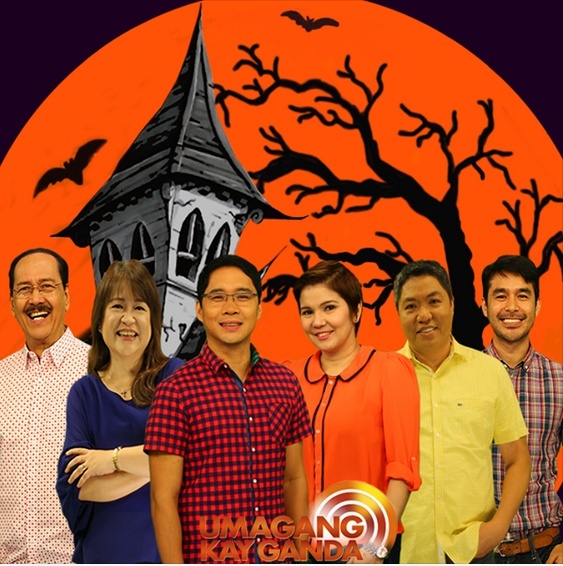 Umagang Kay Ganda has been consistent on being nominated and winning as Best Morning Show and Best Morning Show Hosts on award giving bodies for TV here in the Philippines. Year 2013 they were awarded as the Best Morning Show-Hall of fame for 27th PMPC Star Awards for Television and for 11th Gawad Tanglaw Awards. In life change is the only permanent thing in this world. Same with the show UKG, they have been through constant changes in segments to further enhance the show to make it more appealing and interesting to their avid viewers. Even on the hosts, the show had welcomed and bid goodbye to different hosts that had been part of their show. 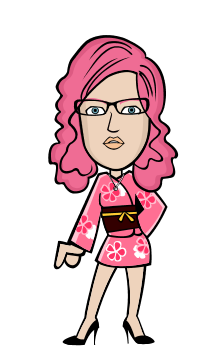 Some have to say good bye for personal reasons, some because they have to do another show and some because the show had undergone reformat including the change in hosts. Bernadette Sembrano's last day at UKG show. 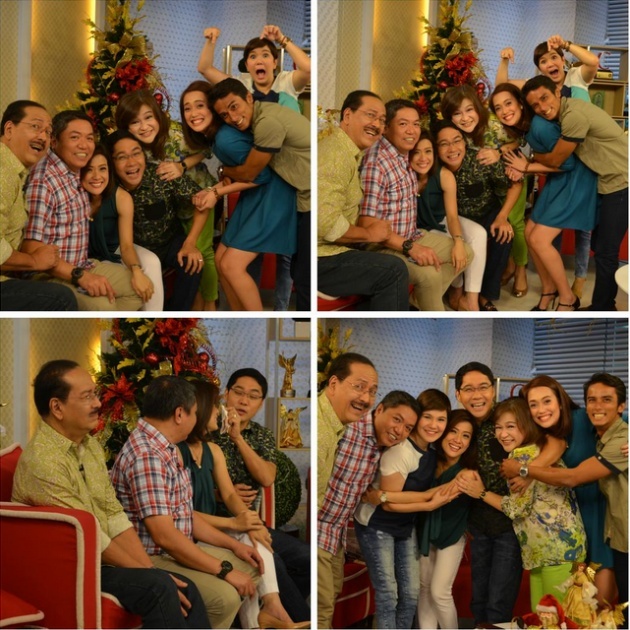 Laughing and crying moments with the UKG Barkada. 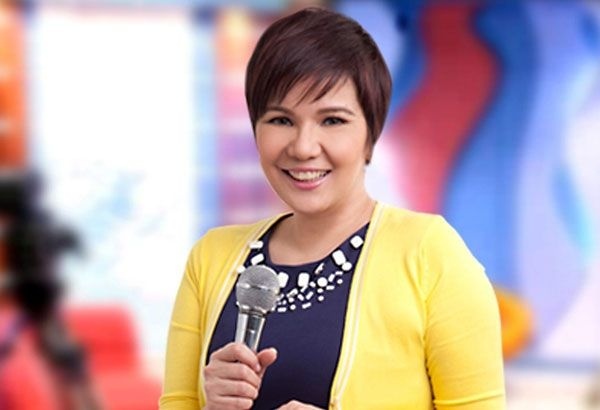 The latest host that bids goodbye to UKG Barkada (group) was broadcast journalist Bernadette Sembrano- Aguinaldo also known as Ate B. She was one of the original hosts of UKG that started 8 years ago. She had an emotional farewell last October 2, 2015. Saying goodbye to a show that became your family for so long was not easy, but of course a bigger opportunity welcomed her. 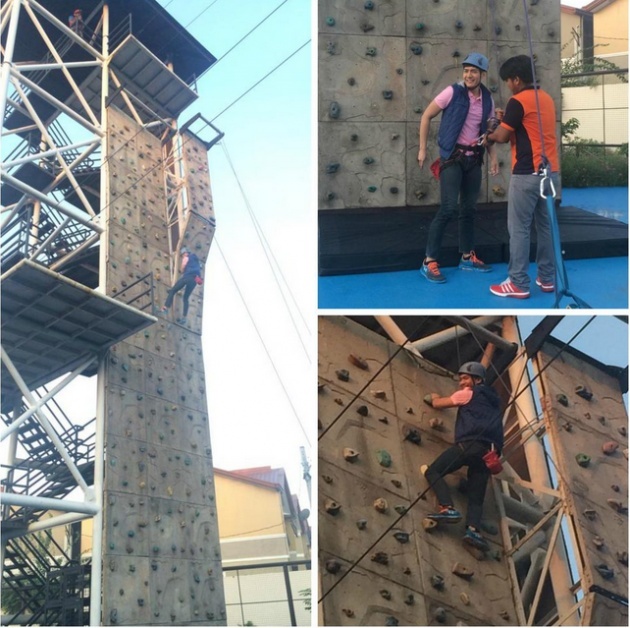 Bernadette Sembrano-Aguinaldo is now part of “TV Patrol”. She is now one of the anchors of TV Patrol together with veteran newscasters Noli De Castro and Ted Failon. Meet the current hosts of UKG. 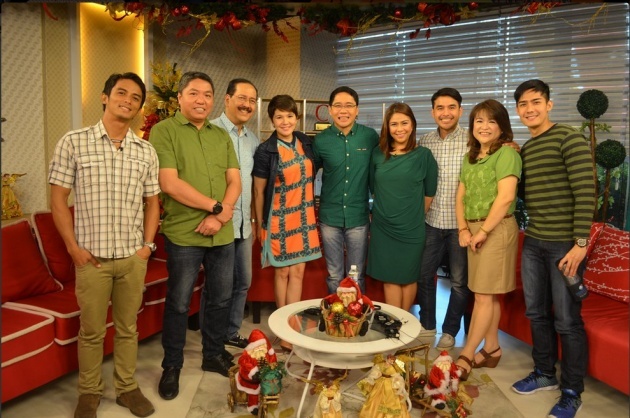 From left Alvin Pura, Jorge Cariño, Ariel Ureta, Amy Perez, Anthony Taberna, Karmina Constantino (new host), Atom Araullo, Winnie Cordero and guest host Robi Domingo. Umagang Balita (Morning News) anchored by Anthony Taberna, Jorge Cariño, Amy Perez and their new hosts Karmina Constantino and Tina Marasigan (alternately replacing each other). This is the segment of the show where they feature the latest news around the nation through their regional news group giving live feeds on what is happening or what happened on their places within 24 hours. They also deliver news that is currently happening outside the country. Giving public service to the people is the main advocacy of the show. Just like the recent calamity that hit the Philippines, Typhoon Lando. Giving live feeds on what is happening on provinces that were under storm signals. Giving live updates regarding the typhoon and other news that the people should know during this kind of calamity. Alvin Pura is the resident meteorologist of UKG. He was introduced June this year. The weatherman of UKG delivering the latest weather updates. Showbiz Balita (Showbiz News) anchored by Amy Perez, shares the latest showbiz news about the Kapamilya Stars. 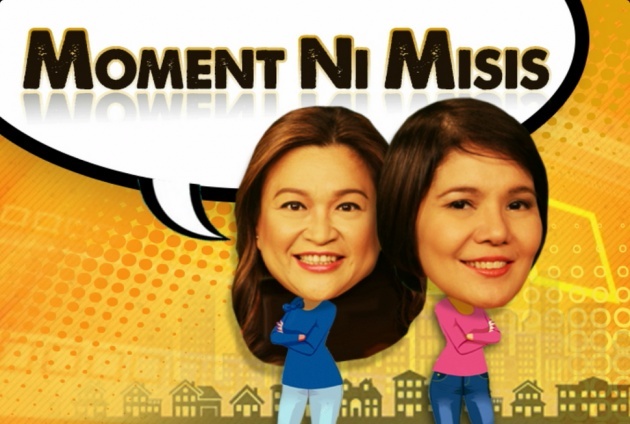 Moment ni Misis (A wife's Moment) is a new segment on UKG made for housewife viewers. Winnie Cordero and Amy Perez together with their guest host of the day will share their opinions regarding a particular topic. 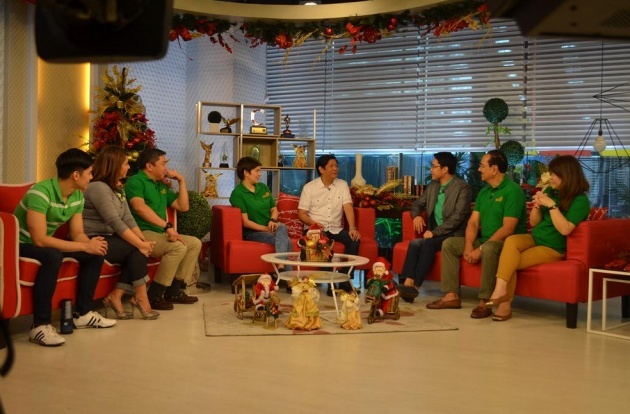 One of their segments that the viewers are looking forward to watch each day is wherein they feature different places to visit where families can go over the weekend. They also go on food trips, or those places that are in demand during a particular occasion or season. 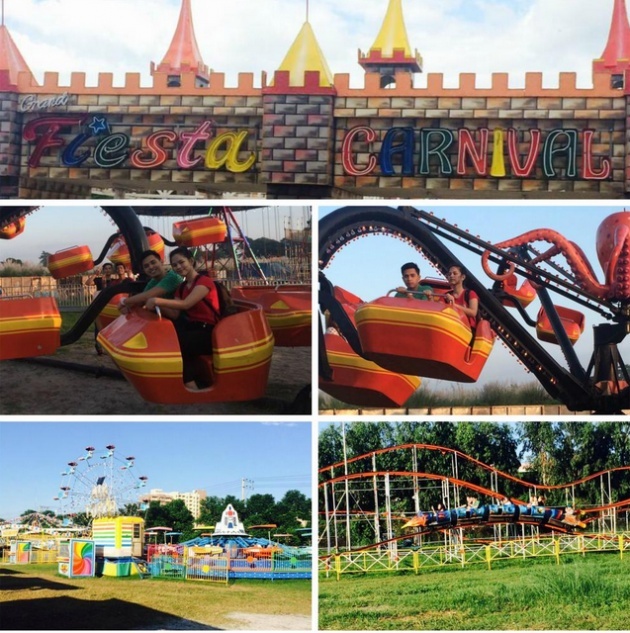 October 7 episode with Marlo at Grand Fiesta Carnival. 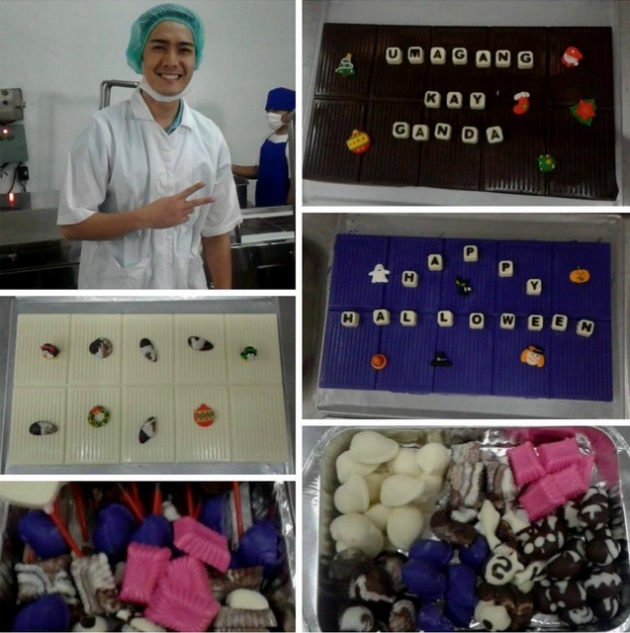 October 8 episode, with Robi at a chocolate factory. October 9 episode with Robi at The Rave Of Pasig. 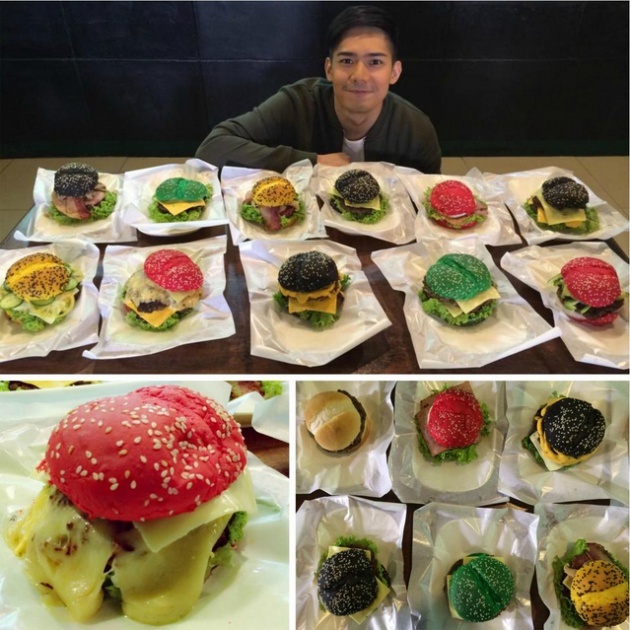 October 15 episode with Robi at a store selling colorful burgers. Mornings will not be complete without breakfast right! In UKG they have a cooking segment wherein they invite chefs to share recipes and cook in their kitchen. 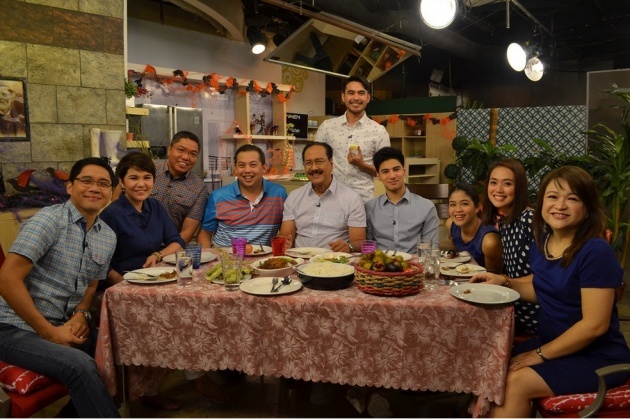 And their guests for the day are invited to join them on their breakfast table on the set to eat with the UKG Barkada. 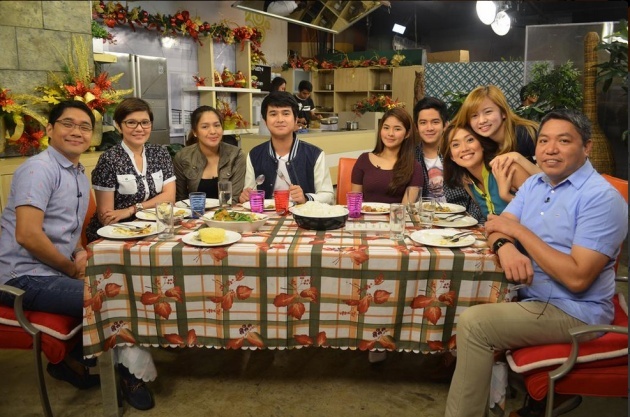 October 16, 2015 episode: UKG Barkada breakfast together with their guests Jane, Jerome, Loisa, Joshua and Ella. 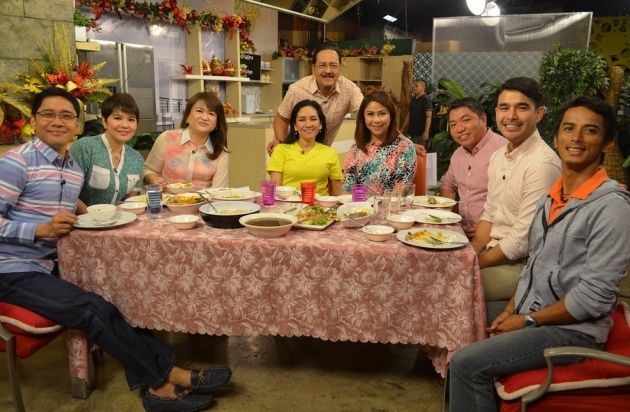 October 22 episode, UKG Barkada breakfast together with Risa Hontiveros (4th from left). October 26 episode: UKG Barkada breakfast together with Cong. Martin Romualdez (4th from left) and Albie Casiño (4th from right). 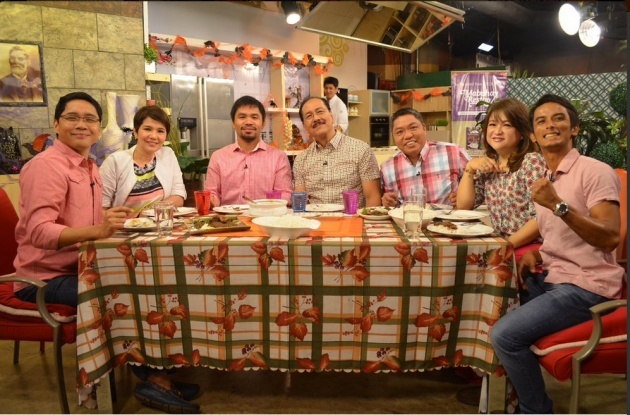 October 27 episode, UKG Barkada breakfast together with Congressman Manny Pacquiao. Election fever has started in the Philippines and on UKG everyday they invited politicians, to be interviewed, that are running on higher positions. For the viewing public to know more about the platforms and goals of the politicians who are running for higher seats in the government. 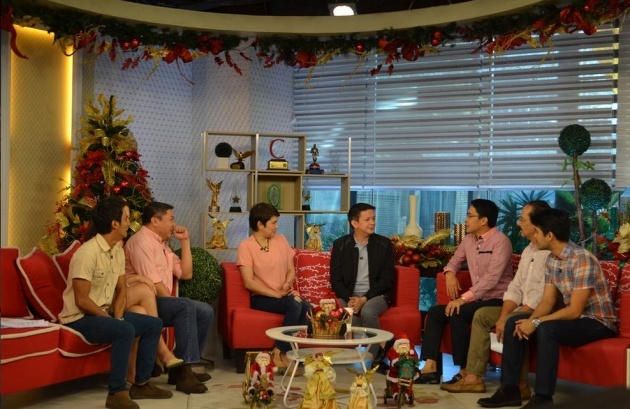 October 16 episode, UKG barkada with their guest Senator Chiz Escuedero (4th from right). October 19 episode, UKG Barkada with Senator Bongbong Marcos (4th from right). 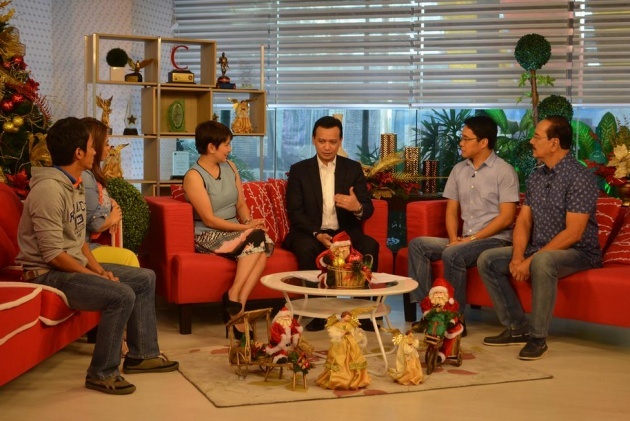 October 20 episode, UKG Barkada with Senator Antonio Trillanes (3rd from right). 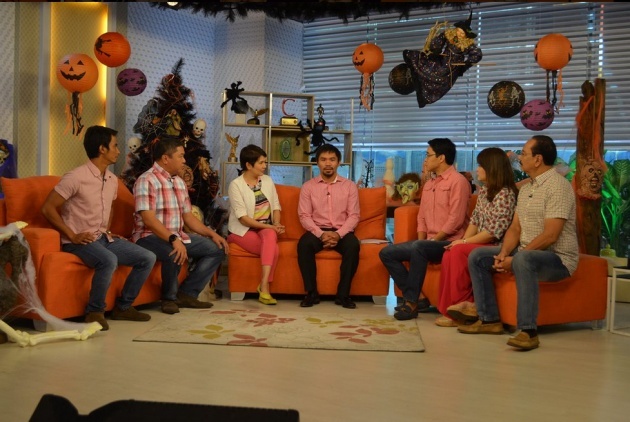 October 27 episode, UKG Barkada with Congressman Manny Pacquiao. Trending celebrities are featured on UKG every morning. The whole UKG Barkada are in their living room set, to interview the guest celebrity and to watch their guest perform. October 7 episode, Singing and laugh trip with the talented singer comedian Cacai Bautista. October 8 episode, Young and talented singer Darren Espanto visited the UKG Barkada. October 16 episode, dancing with the popular celebrity teens. October 22 episode, Elha Nympha "The Voice Kids Season 2 Grand winner" singing on UKG while her proud mom is cheering for her. Just like in any shows or in any type of jobs, if you are working with the same person every day, you get to know them even more, and you became close to some of them, having an attraction to your co-worker is always possible. In UKG they have their newest love team that the UKG Barkada is teasing. Weatherman Alvin Pura and their new host Tina Marasigan. The two were given monikers as "TinPura and AlTin".